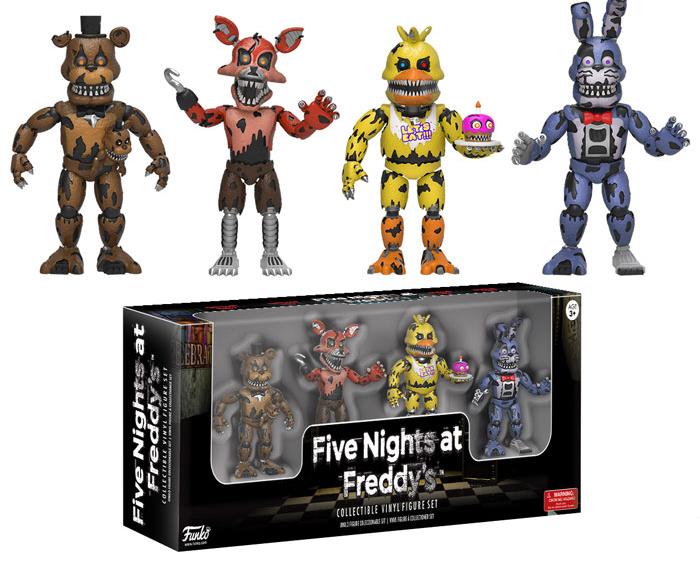 Popular horror video game franchise Five Nights at Freddy’s released their 5th game last October, and with a spin-off game, novels and now a movie coming from Warner Brothers, this little indie game that could has blown up and become a pop culture phenomenon. 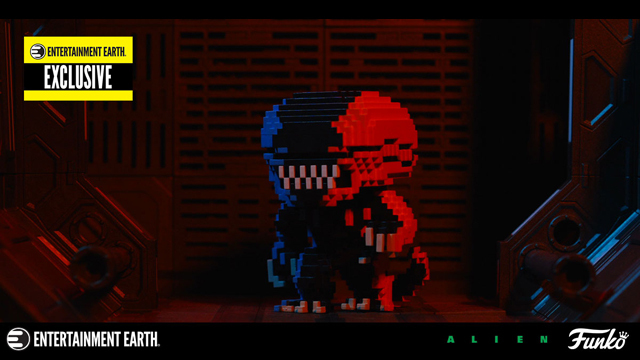 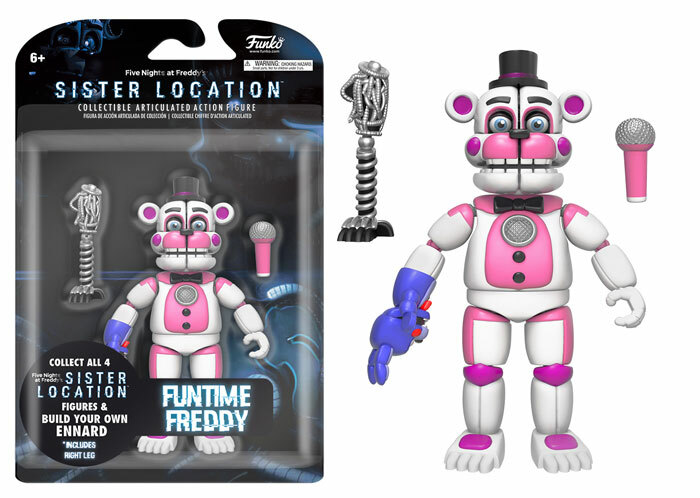 So just like everything that explodes with popularity, Funko has a ton of products based on the games that horror and gaming fans can add to, or start, their collection with. 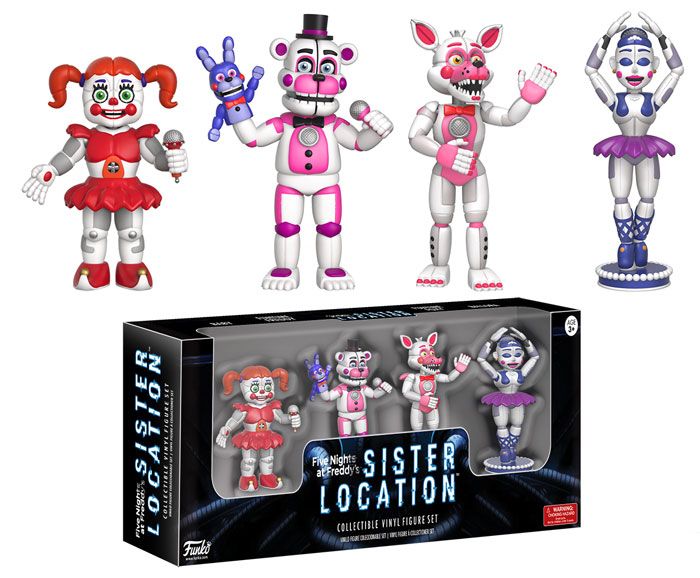 First up are 2” vinyl figure 4-packs of the twisted characters from the latest game, Sister Location, and the dirtier and more menacing robots from the original Five Nights at Freddy’s. 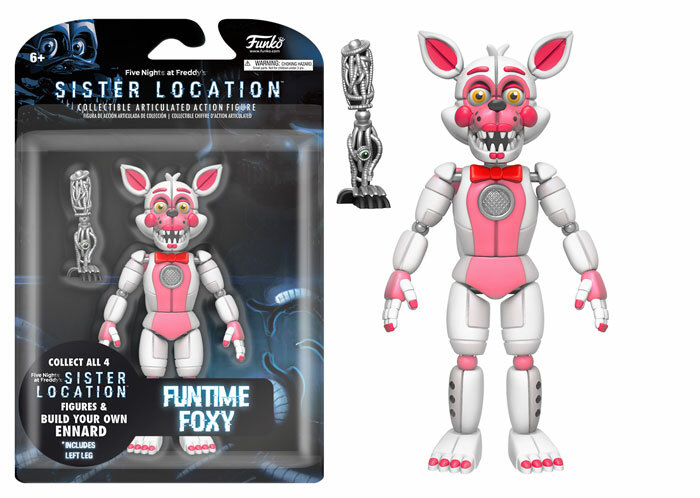 For fans of Sister Location, you can also pick up solo super-articulated figures of Baby, Funtime Foxy, Funtime Freddy, and Ballora to collect, and after you’ve picked up all four, you can build your own super creepy Ennard figure. 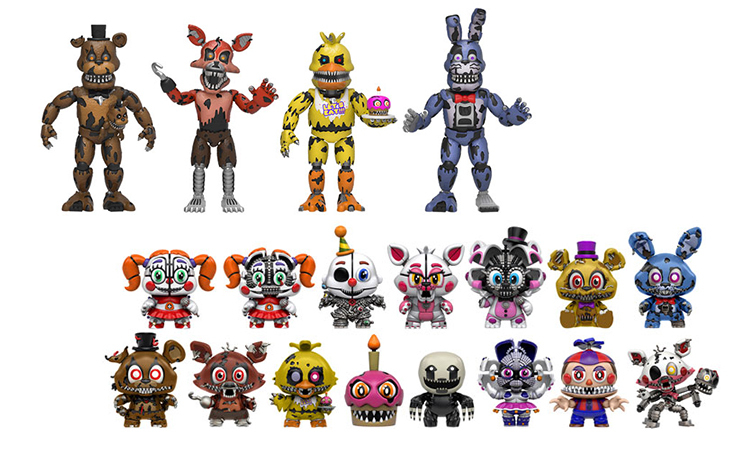 And for anyone who thinks that the characters are adorable and wants minis of them, Funko has a bunch of minis from Sister Location you can pick up. 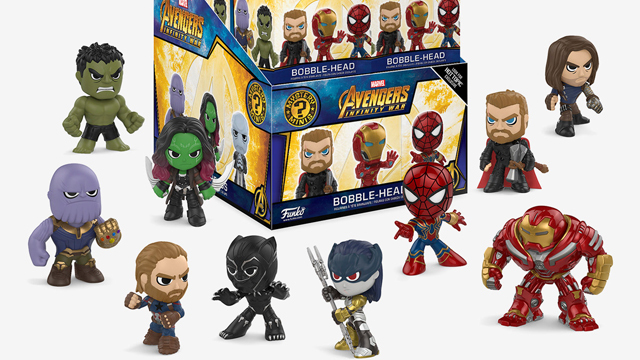 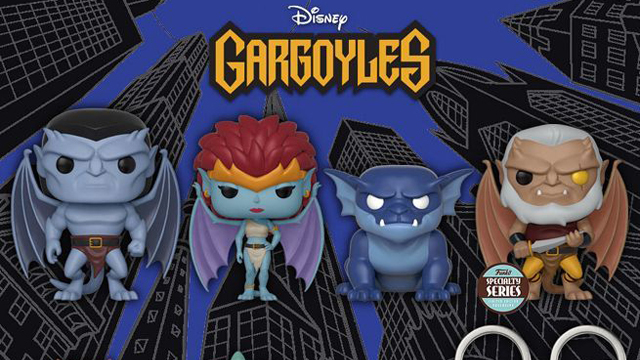 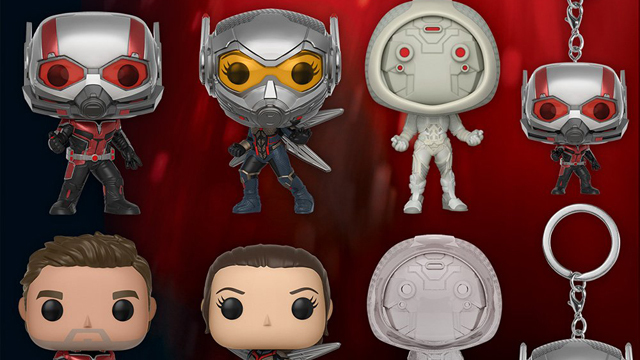 Make sure to check certain retailers for some limited edition minis as well. 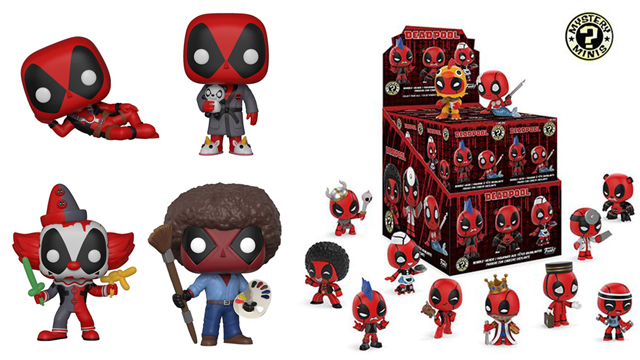 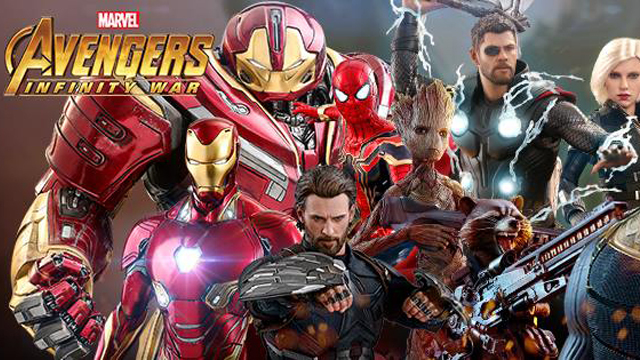 Set to ship in June, you can follow the links below to pre-order right now from Entertainment Earth.